The kitchen was a typical in frame one with the lovely island with a Walnut worktop & granite on the rest. This colour as you can see looked a little dated after all this time, so it was time for a make over. Two of the fridges were changed as the oven as well as a new Quooker tap to enhance it further. 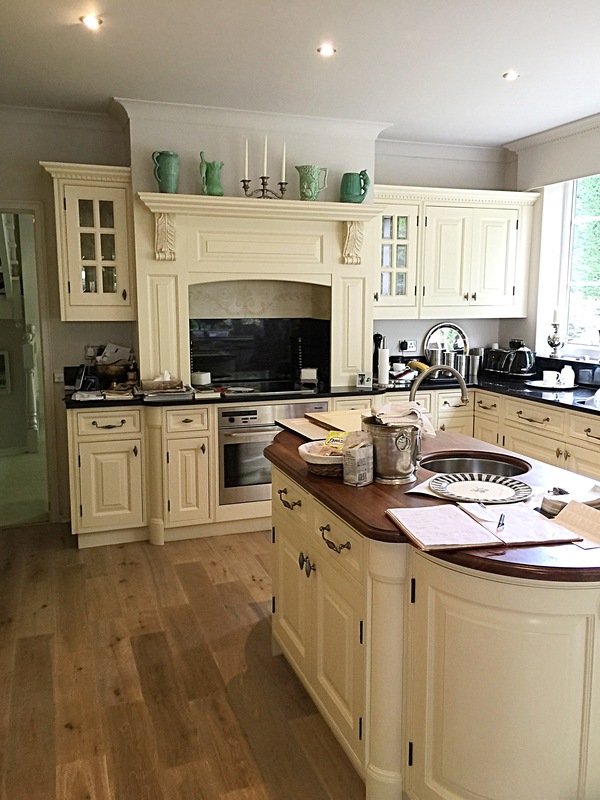 With having done so many kitchens our job is second nature now, fully protect all surfaces not to be painted. 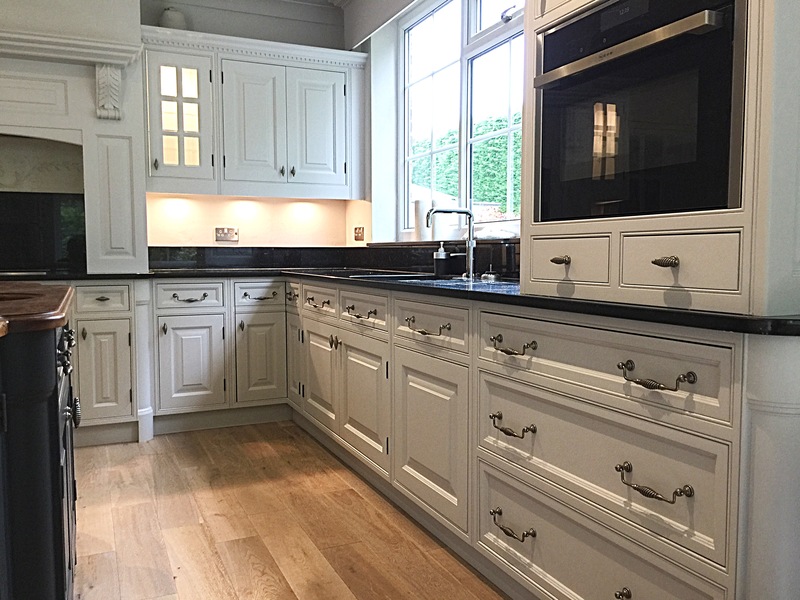 Remove all hardware then fully clean and degrease all the kitchen using our trusted trade cleaners. With this kitchen being so big it just takes a little longer. Before we can start to dismantle all the doors and drawers then number them. Now its all clean we can fully sand the painted surface just enough for our adhesion primers to key. The primer we used on this kitchen was an oil based grip one and perfect for a painted finish. 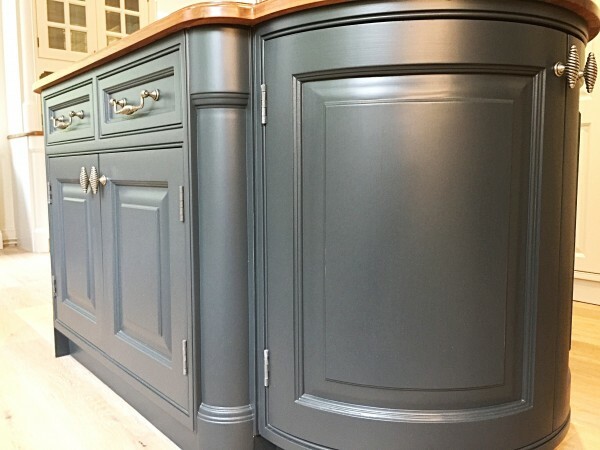 If you’re reading this article and thinking about painting your kitchen we are the first port of call in Cheshire for all hand painted kitchens.